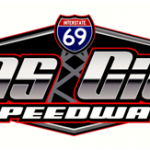 GAS CITY, Ind., Aug. 30 – In an effort to provide a luxurious, stress-free travel option for race fans from the Indianapolis area and out-of-town travelers, officials of Gas City I-69 Speedway have partnered with Rally for the Brickyard 400 Week and USAC race activities. The two will offer luxury bus transportation from the Indianapolis Motor Speedway area to Gas City I-69 Speedway for its USAC AMSOIL national sprint car series race on Friday night, Sept. 7. Rally will use technology and local operators to offer round trip and one-way bus travel from a rally point near fans to the Gas City races. The service will not only allow for convenient, direct transport to the speedway, but it will also extend the event experience for like-minded fans. Fans can sign up for the service through this link: http://rallybus.net/usac-sprint-car-race. For more information about Gas City I-69 Speedway, please see the track’s Web site at GasCityI69Speedway.com. Fans can also follow the speedway on Facebook (@GasCitySpeedwayOnTheGas), Twitter (@GasCitySpeedway) and Instagram (@GasCitySpeedway). Gas City will present its “King of the Wings” program tomorrow, Friday, Aug. 31, featuring BOSS winged sprint cars, winged outlaw micro sprints, UMP modifieds and thunder cars. Headquartered in New York City, Rally is crowd-powered travel. The app enables riders to combine their itineraries to reach their final destinations with ease. From major events to custom trips, Rally’s platform matches high-end buses with people planning similar journeys. Riders select from preset trips or create their own, digitally empowering the bus journey from planning to day-of logistics. Rally’s mission is to be the ride of choice for people uniting with their passions. It has already transported hundreds of thousands of fans to their favorite events.